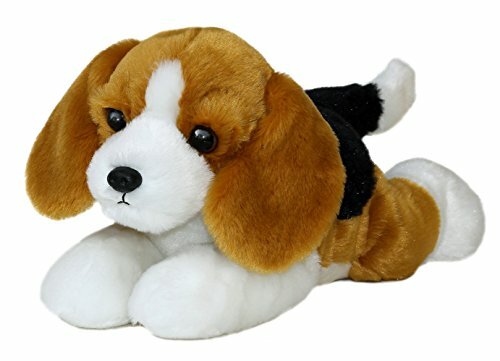 Aurora World, Inc. is the worlds leading supplier of affordable, high quality plush. 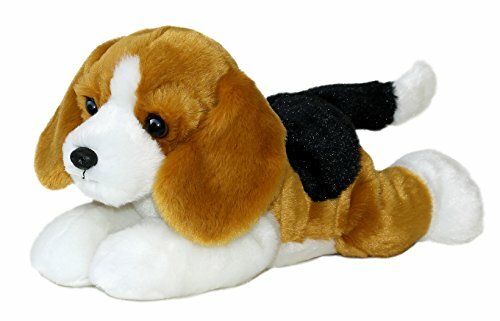 ITEM DESCRIPTIONS/INFORMATION:Title:12" Buddy Beagle Dog Plush Stuffed Animal Toy - NewBrand: Aurora WorldConditon:Brand New.Details:Each item may vary slightly from above photographMeasures 12" Long (Sizes are approximate. )Great item for a gift.Perfect for Collectors.Manufacturers suggested age 3+All items are of high quality.SHIPPING INFORMATION:Processing Time:Orders are packed and shipped within 24 hours.Standard Shipping:Most orders are mailed through first class priority mail. (few exceptions.) and are usually delivered within 2-4 business days.Combine Shipping: We do offer combined shipping. Each order using combined shipping will have the highest shipping cost item plus each additional item will be $1.75. For large orders please email or message for combined shipping cost. (As there may be shipping discounts offered. )International Shipping: We currently only ship to theUnited States.EXCHANGES/RETURNS INFORMATION:Any items being exchanged/returned must be received back in a condition where it can be resold. (Tags attached, ect. )Buyers who would like to return items are responsible for return shipping as well as original shipping cost.We are not held responsible for packages that are lost or returned to sender due to incorrectly typed addresses.All damage claims must be reported with 72 hours of delivery.